Winter can prove to be the most confusing season for your clients’ skin – what they once thought was combination skin is now severely dry, and clients with already-dry skin are experiencing rosacea for the first time. Now is the perfect time to really cater to their needs, with a bespoke facial that has a mix and match approach. Check out some of our favourite ingredients for a more prescriptive facial. What it does: It’s healing, it’s moisturising, it’s soothing – there aren’t many things that this powder isn’t good for! What it’s perfect for though, is adding an exfoliating boost to your existing facial services. Oats help reduce irritation and can even be used to calm Eczema and heal Psoriasis. They also soak up excess oil and remove dead skin cells. Perfect for: Adding to just about any mask – it adds just the right amount of gentle exfoliation for any detoxing, hydrating or soothing facial treatments. Mix it with: Almond Oil – together they will give a soothing, gently exfoliating treatment that provides the perfect start to a detoxing facial. What it does: Packed with Vitamin E – a powerful antioxidant – Almond Oil makes a great addition to any kind of detox mask, as it offers nourishment to sensitive or dry areas of the skin. If your client has acne, Almond Oil is ideal as it won’t block pores and will gently cleanse them of debris. Perfect for: Clients suffering with Eczema, sun exposure and rashes, thanks to it being packed with fatty acids, which are healing and help the skin to retain moisture. Mix it with: Calamine Powder for a gentle, healing treatment. What it does: Add this to a facial when the client’s skin is looking red, blotchy and oily/blemish-prone. 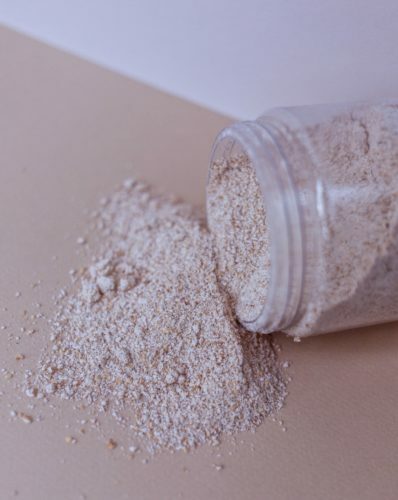 Kaolin powder assists in improving vascular and lymphatic flow and is amazing at removing impurities and excess oil. Adding this as a pre-treatment mask is a great idea as it gently cleanses the skin, preparing it for the next phase of the facial. Perfect for: Congested skin. Even those with dry skin can suffer with congestion as, during these winter months, dead skin cells need extra help with sloughing off. This can result in very dull skin and blocked pores so Kaolin is a great way to get things moving again! Mix it with: Fine Oatmeal – together they will give congested skin a more radiant outlook. 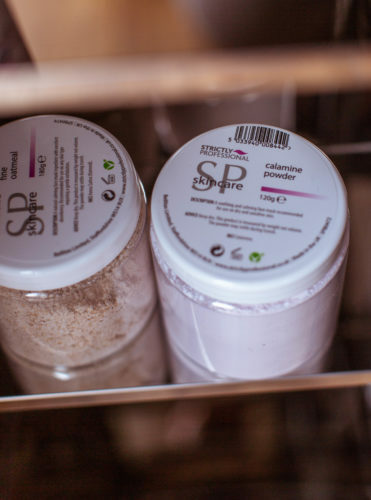 What it does: Known for its mild antiseptic qualities, Calamine Powder actually contains Kaolin – the two ingredients together help skin look more radiant and less red! Calamine also contains zinc oxide, an ingredient that can be used to dry out skin that has become affected by acne. Perfect for: Chapped, irritated and infected skin. 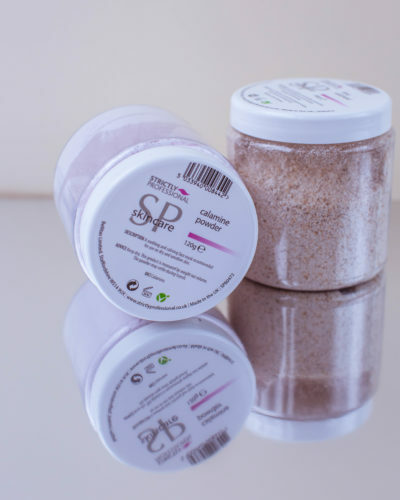 Calamine Powder is featured in most nappy rash cream formulas, because of its efficacy in reducing redness and soreness, which means it’s perfect for taking care of skin issues in a gentle but effective way. Mix it with: Almond Oil for a super gentle treat.